This morning I revisited a project from 10 years ago, my paper houses. 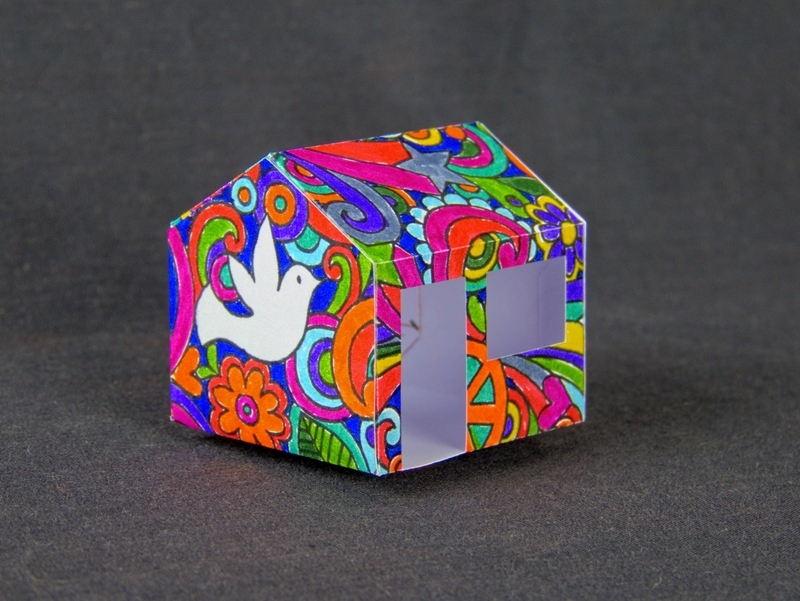 I had the idea of making a house by printing it with a pattern and colouring it in. I used a pattern I found on the web. I’d like to know who really owns the copyright — I’ve seen several different sites asking to get paid to use the image commercially. I’d be happy to pay a reasonable fee to the real owner. The house is cut from light (160gsm) card and measures 5x5x5cm. 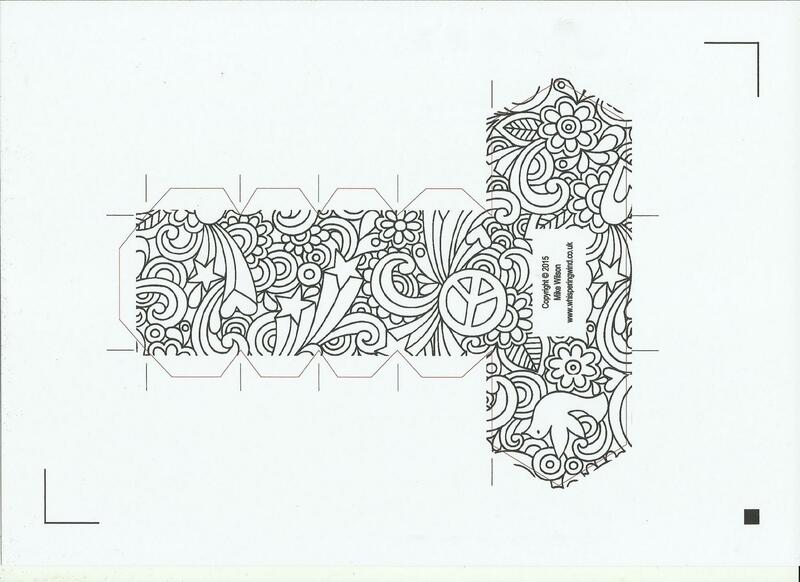 I coloured the pattern using Kuretake Zig Clean Colour Real Brush Pens from Cult Pens. These pens are lovely to use and have strong bright colours. I used to cut the houses out using a craft knife. These days I use my Graphtec Silhouette Portrait which saves a lot of time. The houses are stuck together using double sided tape. (Graphtec have one of the worst web sites I’ve seen in recent years. I don’t think the Silhouette is made any longer).